We are pleased to announce, along with Audi Canada, that the all-new Audi e-tron 55 quattro will be available in Canada with a starting MSRP of $90,000 CAD. The e-tron will be offered with two trim lines, Progressiv and Technik. The e-tron 55 quattro's standard equipment, superior build quality, Audi styling cues and e-tron ecosystem provide a unique offering in the Canadian luxury C-SUV segment. The standard-equipped 95kWh battery is complemented by the vehicle's robust twin asynchronous motors with active internal cooling. This ensures a high reproducibility of performance. 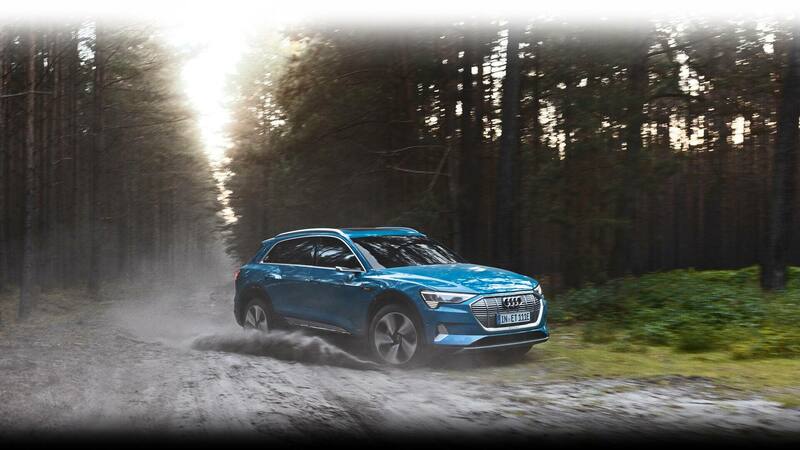 With the boost function activated, the e-tron 55 quattro can attain a 0-100km/h time of 5.7 seconds. For optimized range, there are three levels of energy recuperation that can be operated by the standard-equipped steering-mounted paddles. on the recently announced Electrify Canada network as well as standard Audi e-Care following our C and D segment strategy. For complete peace of mind, the battery includes an 8-year / 160,000km warranty. Back in July of this year, Volkswagen Group Canada announced today the formation of Electrify Canada, a new company that will build an ultra-fast electric vehicle (EV) direct current (DC) charging network across Canada, which is anticipated to be operational starting in the second quarter of 2019. The initial plan includes the installation of 32 EV charging sites near major highways and in major metro areas in British Columbia, Alberta, Ontario and Quebec. Each charging site will have four chargers on average and use the non-proprietary DC fast charging technologies (CCS and CHAdeMO). Charging power will range from 150kW to 350kW for the expected longer range, larger battery vehicles coming to market and will also deliver 50kW charging power to support today's EVs from all automotive manufacturers. Debuting a completely new all-wheel drive system, the dual motor allows for unique control of each wheel. Delivering power when and where it's needed, the e-tron delivers breathtaking performance with impressive range and efficiency. (Exterior mirrors on European model shown). The standard speed-sensitive air suspension, with adaptive dampers, automatically optimizes ride height to improve range. Ensuring the perfect drive on any road, there are 5 damper modes available via Audi Drive Select, each with unique settings. Even with its impressive range, the e-tron always looks ahead. 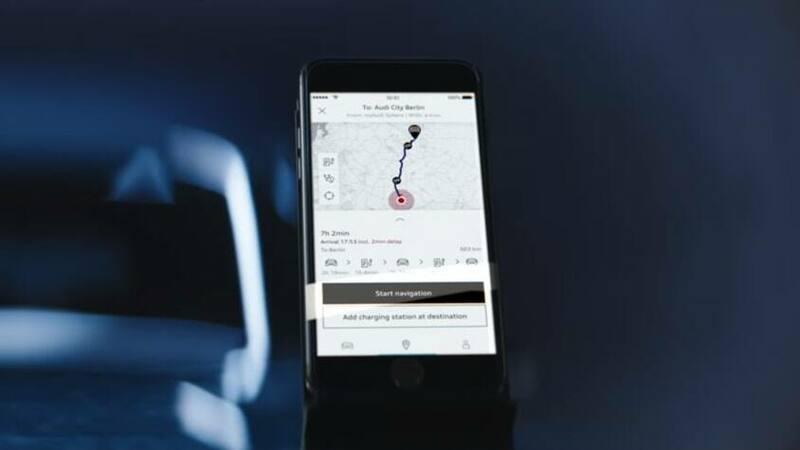 Using the onboard route planner, which automatically updates when new charging stations become operational, the e-tron can recommend charging stops along your route.